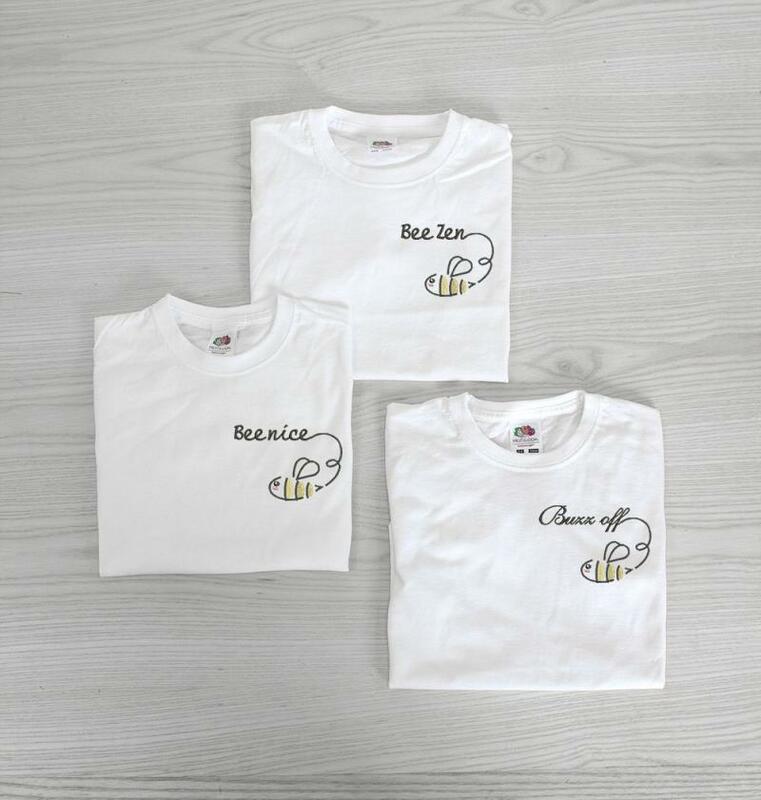 Embroidered 100% organic cotton T-shirt with selection of 3 bee designs, bee nice, bee zen or buzz off, a great comfortable fashion tee for any occasion! 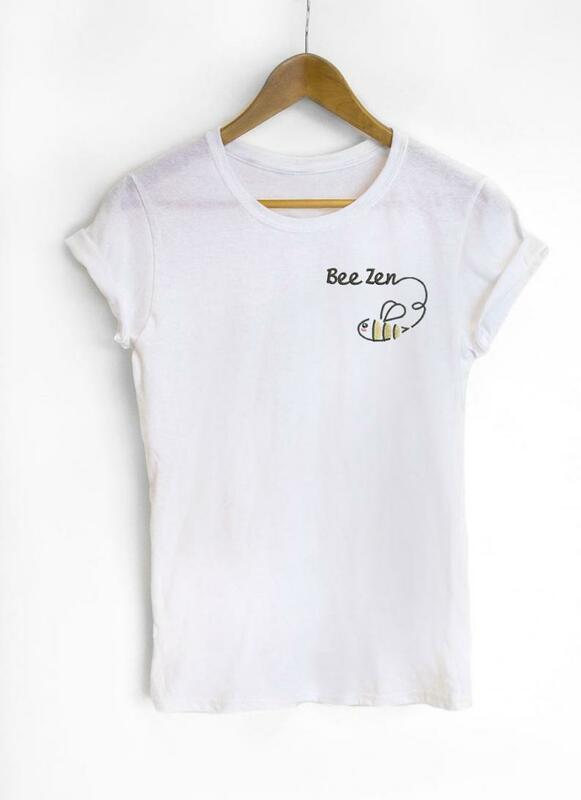 This t-shirt would make a wonderful birthday gift for a girlfriend or mother! Fabric: 100% Organic cotton Tee, featuring a crew neck, short sleeves and side seams. This luxury women's T-shirt is made of superior combed ring-spun organic cotton, with a very soft hand feel. This T-shirt is embroidered to order, please allow up to 5 working days for processing before dispatch. If you have a tight deadline get in contact and we may be able to help!